What’s your favourite pub? I bet it’s on social media. Who do you bank with? They’re on it too. Government departments, the celebrity you hate on Strictly Come Dancing and your dear old mum are on it. You can use it to: reply to the Dalai Lama, admire Gerry Adams’s pictures of wildlife and upset Gary Barlow. You can even reconnect with distant relatives should you decide to accept their kind invitation to water their crops, join their gang or donate a jewel for the rubbish Facebook game they’re currently playing. Put simply, everyone is on social media – and for that reason alone your organisation can’t afford to ignore it. Just being present isn’t enough though. You have to use social media strategically in order for it to be truly beneficial and help achieve your organisational goals. 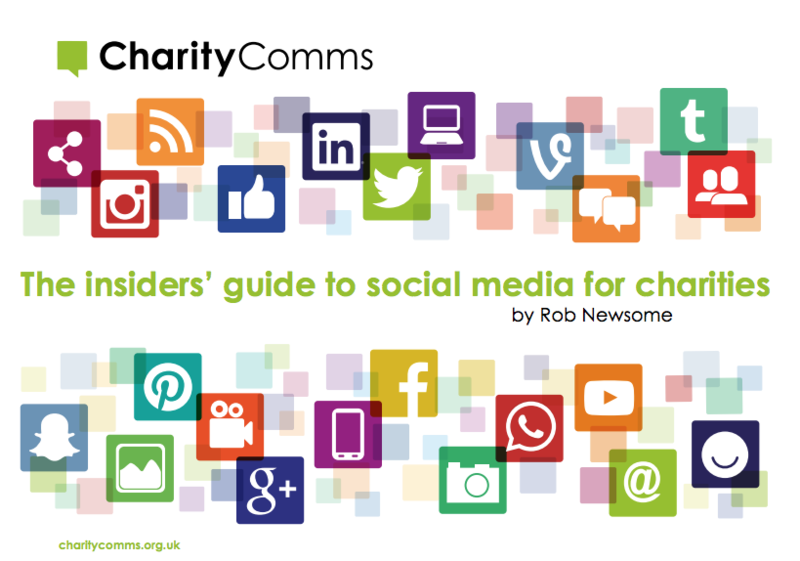 And that’s where the CharityComms Insiders’ Guide to Social Media for Charities comes in. We spoke to top social media practitioners at a range of charities about the work they’re most proud of, the work they admire and their top tips for making the most of the world of social. We’ve picked the brains of social media experts from Age UK, The Children’s Society, RNLI, Sue Ryder, Sightsavers, WaterAid, Alzheimer’s Society, Dogs Trust, the British Heart Foundation and more to get the real inside track on making the most of this vital comms channel. I’d put good money on the words “social media” creating a certain level of panic within some of your colleagues. Well, with the help of this guide and the wise words of those included in it, we hope you’ll be able to prove its worth. Social media can no longer be left to the intern; it shouldn’t be seen as “something we should probably do,” or be tagged on as a last minute addition to a campaign that’s been months in the making. It’s worth more than that. It can help you engage with your current supporters, reach out to find new ones and show off your organisation’s personality. It enables charities to build relationships and go about cost-effective campaigning. That last one is possibly a lie. But you’ll have to download the guide to find out.